Talk about a trifecta of color, this bold mix of light and dark cabinetry with the white walls and island waterfall countertop is a winning combination. Add in the rustic flooring and seating, along with the industrial metal loft and this is the perfect rustic urban kitchen. 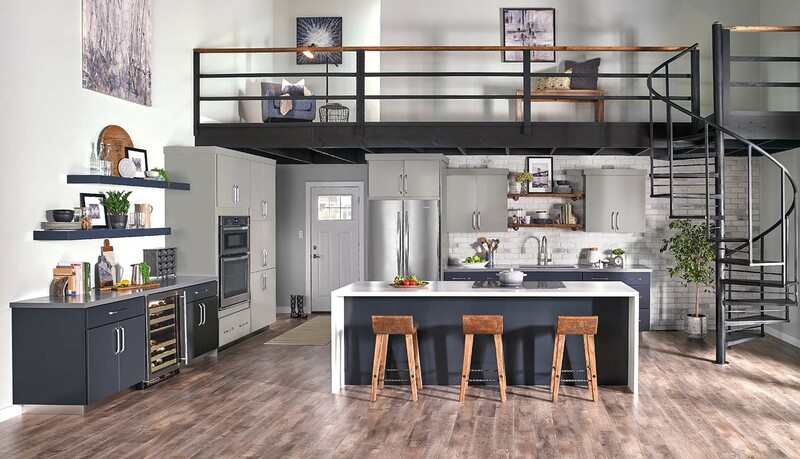 Click the button below to add the The Masterpiece® Collection Epic Midnight Maple – base cabinets and island Pebble Grey Maple to your wish list.